At the Orlando Regional, Exploding Bacon handed out more than 400 buttons. Team members, mentors and regional volunteers came by our pit to request them. 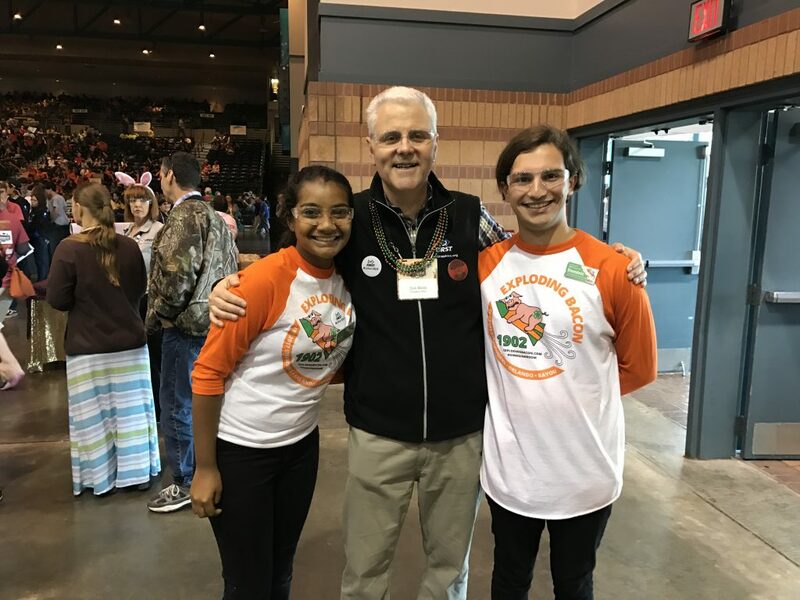 We handed out more at the Bayou Regional, even to FIRST President, Don Bossi. We are raising money to make sure we have plenty to hand out at our pit at World Championship in Houston!